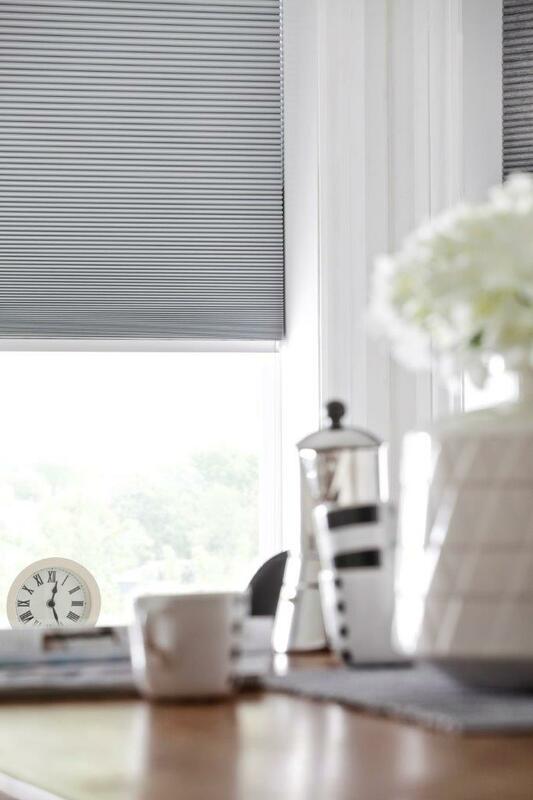 With almost limitless versatility, pleated blinds filter the light beautifully and are a stylish alternative to net curtains. 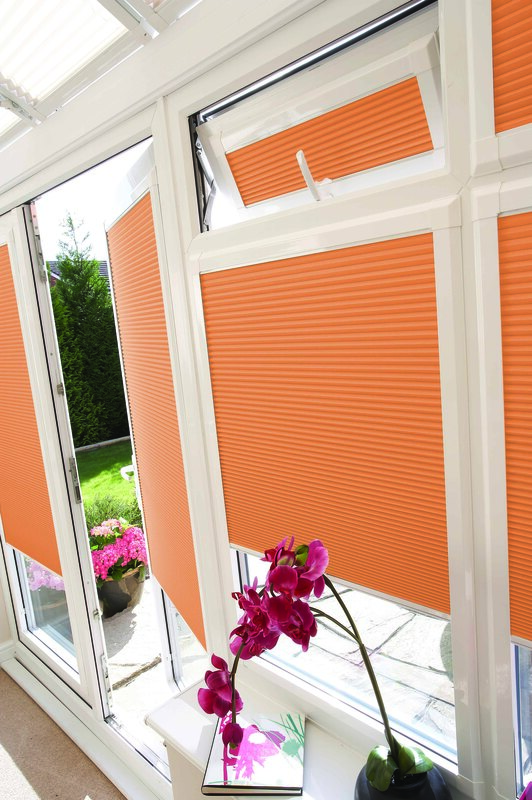 Pleated blinds fold away neatly to give maximum control of light in your room. 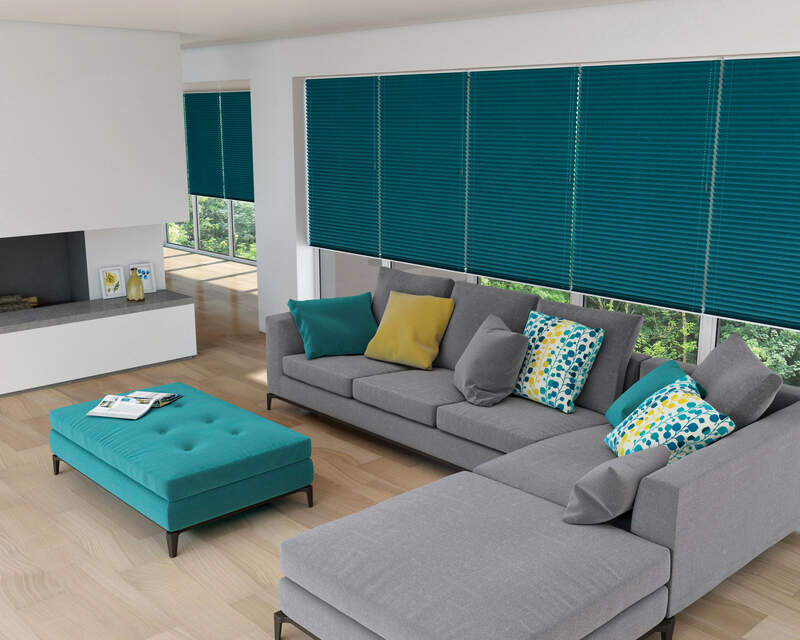 Pleated blinds offer excellent protection from the sun, with a range of duette, sheer and blackout fabrics available so you are able to be in charge of the sun coming into your interior. They also have the advantage of keeping rooms cooler in summer and warm in winter, meaning a saving on your heating bills. 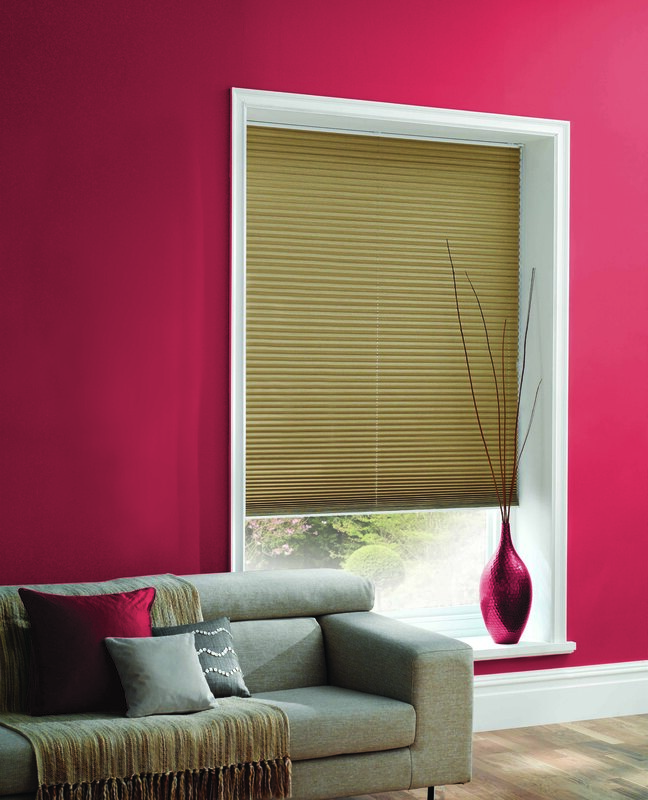 The neat pleats of a pleated blind give a lovely effect and a cosy feel to the room. We have a variety of colour, textures and patterns so you can coordinate with the rest of your room. 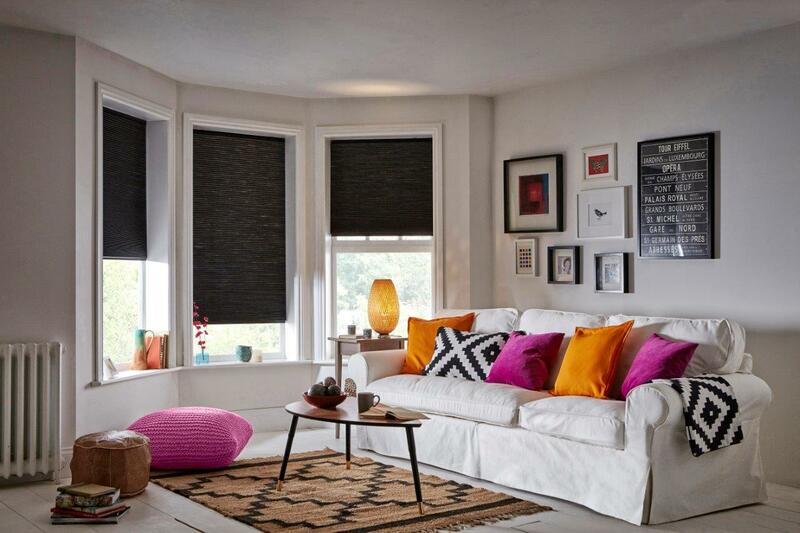 We think this look works wonderfully, paired with some light curtains for a soft but streamlined look. 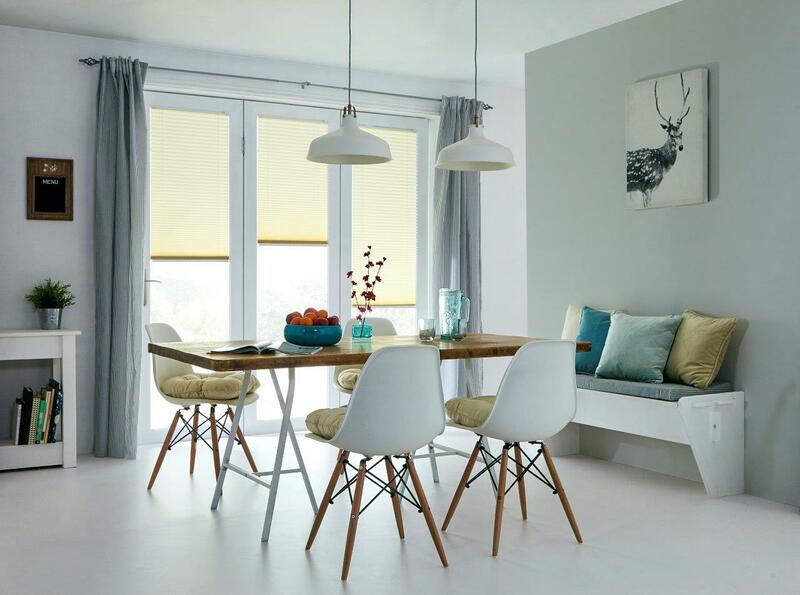 Along with free hanging pleated blinds, we also do perfect fit, tab operated, multi zone and day and night blinds - meaning we can cater for whatever look you require. We also offer the senses collection head rail and bottom bar in a range of colour options to give a clean and stylish look to the blind. We are happy to help assist you in selecting suitable styles and colours, if you wish or feel free to come into store, browse and be inspired by our ranges. 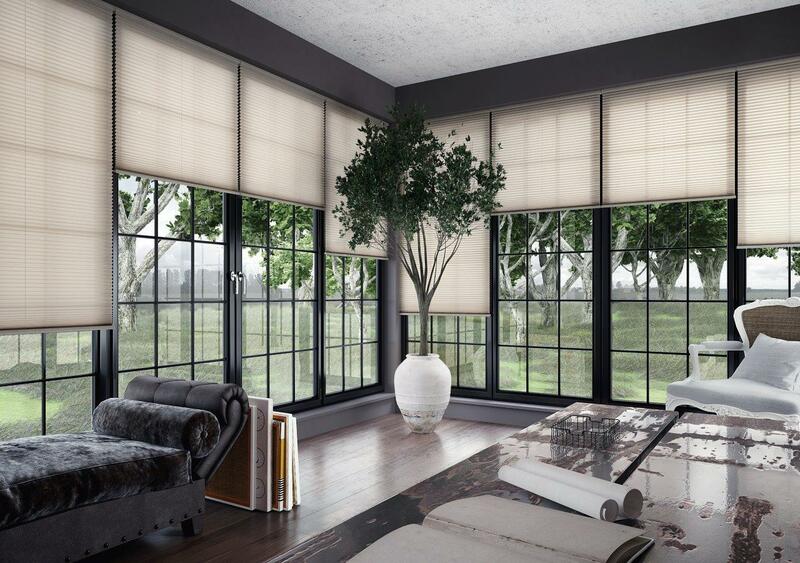 Please view the slideshow for just a hint of what we looks you can achieve with this versatile and lightweight blind.